The incredible growth of computer industry has given us problems we could hardly imagine encountering not that long ago. Twenty years ago we couldn't even think of storing all the information we have on just one hard drive, we had floppy disks instead, thousands of them! These days such small capacities seem ridiculous. Now all our data is in one place and it can be difficult to select which files to delete and which to keep. If you try to keep everything on your hard drive, gigabytes upon gigabytes of space become cluttered with old files. But deletion can sometimes accidentally pick up files that we actually wanted to keep (when we suddenly realize that we need them most of all.) And in any of these cases, we need software capable of hard drive recovery, even after the file deletion. If anyone wants to recover a hard drive, retrieving data with Easy Drive Data Recovery is the safest and probably the most reliable option. There are, of course, different analogues, including freeware but you’d probably want to stick to something that will definitely work and will not damage your deleted files in the process. 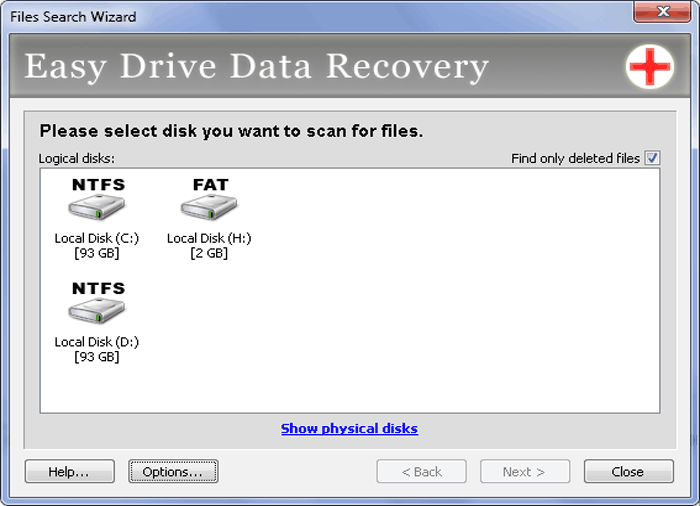 Easy Drive Data Recovery is a resourceful program: not only can you retrieve data from external hard drive devices, you can also retrieve data from internal and external hard drives, from flash drives, and other disks (even memory cards.) Almost all file types are supported and the retrieval works even after the hard drive has been formatted or, even better, when the files system has been damaged and there’s no information left about the files. 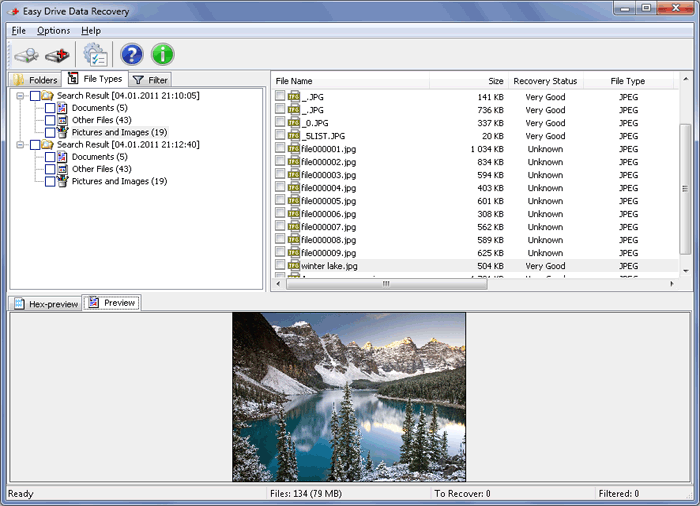 Recovering a hard drive storage is easy. Just select the folder or the disk which you want to recover data from, and your files will be recovered. Remember to choose some other hard drive to store the recovered data on, in order to avoid overwriting the existing files. Easy Drive Data Recovery’s preview window shows you the data that can be recovered, so you can purchase the program safely in the knowledge of what exactly it can do for you. There’s no need to pay until you figure everything out and weigh all “yes” and “no’s”. It’s irrational to buy something that won’t work so think twice. Download a free copy from our website and have your own opinion on recovering hard drive data with Easy Drive Data Recovery.